 Portland, OR (March 20, 2017): The Rose City Rollers’ (RCR) all-star roller derby team, the Wheels of Justice (WOJ), are two-time reigning WFTDA World Champions and ready to debut their 2017 roster. This weekend, fans will witness one of the most sensational derby events of the year: the Wheels of Justice Purple vs. White exhibition bout, where the 2017 roster is split in half to play against each other. The track will be packed with crowd favorites like Loren Mutch and Jessica Chestnut, while introducing some of the newest talent joining the squad. The format allows the audience to scream their heads off at the agility, speed, dexterity, and prowess of the entire team. Rose City has set their sights on retaining the title for a third year, but it’s been an uncertain and exciting off-season due to several high-level transfers. In December, Portland derby fans reveled when one of the top jammers in the world, Bonnie Thunders, transferred from New York’s Gotham Girls. Portland looked unstoppable as the favorite to take the title once again, until February when Scald Eagle, RCR’s most highly decorated jammer, announced that she and her sister Brawn Swanson, the current WFTDA MVP, were moving to Colorado. Other high-level transfers across the WFTDA top 20 have the stage set for an unbelievably competitive year. Fans will want to be able to say they were there for the entire season, and that starts Friday! For those not able to attend this weekend’s bouts, watch live on www.rosecityrollers.com/live/.